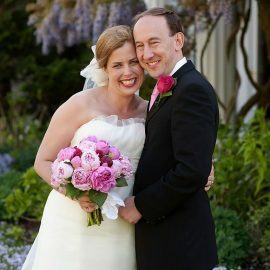 If you are like most people, you have probably been daydreaming about your wedding day from a very young age. Over the years, beaches have become very popular beautiful outdoor wedding venues and for many good reasons. Beach wedding venues are truly unique. They offer soon-to-be married couples a naturally intimate and romantic alternative to traditional church weddings. Beaches provide a tranquil atmosphere that requires very little extra touches. The theme is the beautiful landscape and the ocean. 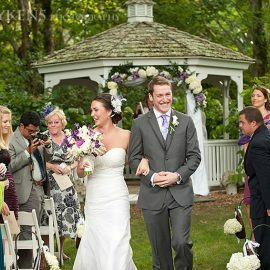 With a historic captain's mansion tucked away on a secluded 2.5 acre property with french doors and windows that open to gardens, The Captain Linnell House provides the perfect setting for your dream beach wedding. 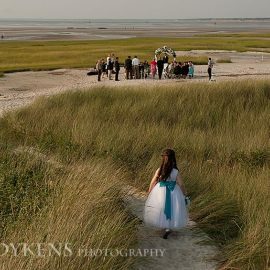 The legendary beaches of Cape Cod are naturally beautiful, and are also known as one of the most popular wedding destinations in the country. The waves gently crashing on the shore, the sun sparkling off the warm clear water, and the gentle salty sea breeze blowing through your hair. It doesn’t get more romantic than this. It’s hard to find a more scenic backdrop for your wedding than the beach. Located on the small bayside shores of Orleans, Skaket Beach is renowned for its soft fine sand and amazing sunsets. With only a few short steps away, The Captain Linnell House is the one-of-a-kind venue for an unforgettable beach wedding on the Cape. If you have just recently gotten engaged, you probably have about a million things swirling through your mind when it comes to your wedding plans. Opting for a beach wedding not only creates a magical and memorable day for you and your guests, but it can also help you quickly cross off a few things on your to-do-list. Choosing the right beautiful outdoor wedding venues is a big decision. 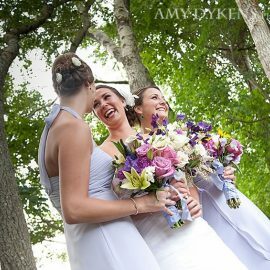 You want a place that fully encompasses everything you’ve ever had in mind for your special day. With a fascinating setting, expertly prepared cuisines, and impeccable service, The Captain Linnell House is the ideal place for a truly flawless experience. Contact us today for more information on The Perfect Package!